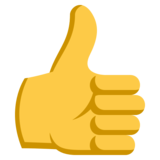 As many of you will know, we swapped to a different donation system a short while back to allow us to more effectively work perks into the mix, keep better track of what's going on and overall have better control of how we want to implement new features. These changes meant the way purchases for perks were made were changed significantly, however there was only a brief explanation and little package choice when this was first introduced. We have now added a few more packages, put up a couple of other features and sorted out the appropriate perks and prices. This post will go over the contents of our various packages as well as explain some of the other features available on our donation page. The standard package for the Jailbreak server. You will unlock all of the following features for 1 month; all available items in the Jailbreak store (apart from VIP exclusive ware), reserved slot for the server, donator group on the forums, donator TS icon and OB event priority. You will also get an invitation to and permanent membership of the OB donator steam group to recognise your contribution to our community. The 1 month package costs £5.99. This package is an extension of the previous package but will also give you a bonus free 7 days on top of the paid 3 month time period. You will unlock all of the same features as the 1 month package for 3 months at a price of £15.99. This is the biggest package available on our store. As well as unlocking all of the perks mentioned in the 1 month package on a permanent basis, the VIP package will also earn you exclusive items such as pets, name colours and player models. A personal server connect message and custom in-game tag will be available to you. 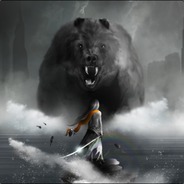 You will be invited to the VIP steam group, be added to the VIP group on the forums and given a custom TS icon of your choice. VIPs will get first access to anything we are testing out and will gain perks on any server we have at one time. VIP costs £50. As we had in the past, we have re-added a popular option to just purchase a reserve slot. Once our server is back in top shape and we hit peak times, it is often in high demand making it very hard to join at times. You can get past this by having a reserve slot which costs £1 per month. Unlike the other packages, reserve slot purchases can be stacked if you wish to buy a reserved slot for an extended period of time in one go. 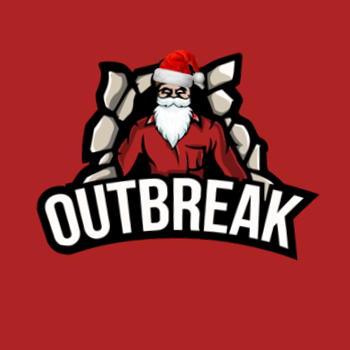 Outbreak needs its donations to keep the community running. Sometimes people want to donate and show their appreciation but aren't particularly fussed about the perks and they don't want to be restricted to a price. This is there for anyone who is feeling generous and wants to help out by dropping any amount they want (minimum £1) into the jar. Our new system allows us to set up raffles on the page. Between now and Christmas you can enter for a chance of unlocking the 3 month package at a much cheaper price. It costs £1 per entry and you can enter up to 5 times. We hope to be able to use this feature for special occasions and perhaps more frequently with better prizes eventually if they turn out to be popular. As of tomorrow for the next 24 days of Christmas advent there will be prizes gifted randomly to individuals through our calendar. The prizes will consist of a chance to win credits, reserved slots or a slim chance of other packages on some days. To have a chance of winning something from this advent calendar all you need to do is head over to our store page and sign up by signing in through steam on it. You need to log in each day to be entered for a chance to win that days advent prize! You don't need to purchase any packages or anything like that, once you sign in you'll be a recognised user and therefore be in a chance of getting a prize over the next 24 days. Hopefully this clarifies our package system and starts to open up a few new features to test over the coming month. If you have any questions then make sure to contact an admin+ for any information or use the support ticket system if you have any queries. To access the donation page either use this link or click the donate tab at the top of the forum page.